A breezy autumn afternoon, and a long drive back home. We were returning from a long trip with our extended family; aunts, uncles, cousins and all. In those days there were miles and miles of farmland even on the outskirts of Delhi which is now a pockmarked cement jungle. We were all exhausted from our long journey, so we decided to stop and stretch a while at one of the sugarcane farms on our way back home. The village had a lazy aura to it. 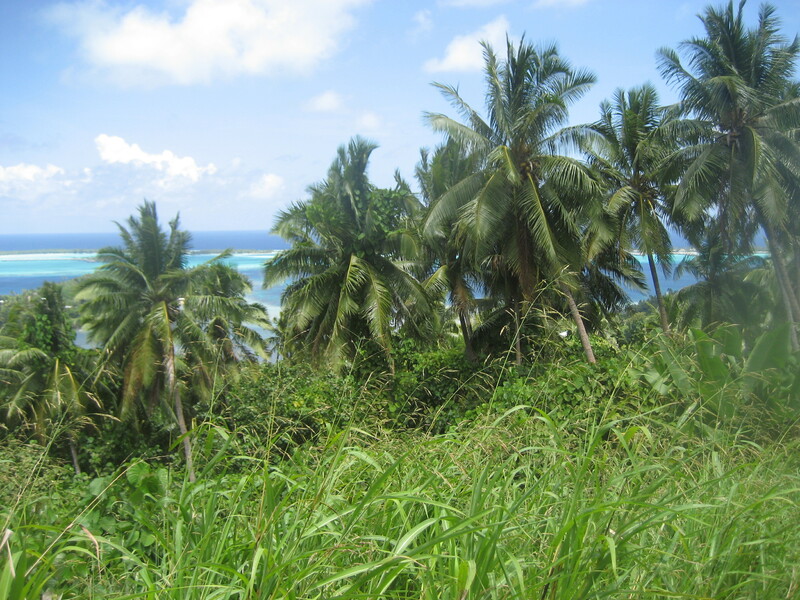 It felt as though the environment was drunk on the sweetness of the cane fields. 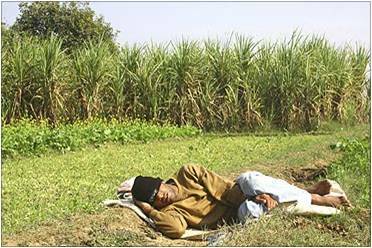 The yellow-green rows of cane plantation reminded you of long siestas under the balmy sun that promise never to end. A bullock-cart passed by carrying a farmer and his family Tok, Tok, Tok. 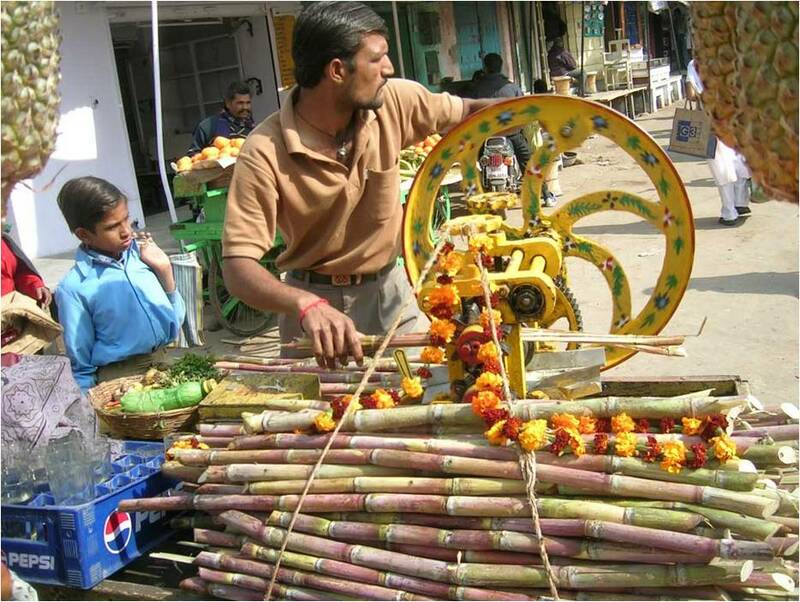 A vendor on a wooden cart squeezed a tall glass of green sugar cane juice adding a dash of fresh ginger, salt, lemon and ice upon request. An old thin farmer in a white dhoti and a shawl wrapped around him, squatted on the side walk with a bunch of other villagers. His was not the face of a youthful, carefree man who has yet to experience the toils of life. Instead, his face was the color of dark caramel etched with wrinkles. He had the intelligence of experience and a carefree resignation that comes from knowing, “it will all turn out okay in the end.” After a hard day’s work at the farm, I doubt he ever had to spend his nights tossing and turning trying to sleep. A good night’s sleep is often the understated reward of occupations that require handwork and sweat. I was probably nine or ten at the time and most of my cousins were even younger than me. We were all very tired and needed a break. My parents asked the farmer if we could stop for a while at his field. He welcomed us enthusiastically, and showed us the way to a cool spot under a tree and offered us water. Then he took the shawl off his back and spread it on the ground for us to sit. And without a warning ran off into his field to pick us some of his ripest produce. Meanwhile, the kids started to create a hullaballoo playing tag and doing what kids do best; creating a racket! Nobody sat down, children were running everywhere and soon enough the poor farmer’s shawl was stamped with tiny boot marks. Thankfully, my aunt chided the kids, picked up the farmer’s shawl and folded it into a neat bundle. By the time the farmer came back, we were hungrily devouring the lunch we had brought with us. We offered the old man to join us, but he refused. It was probably one of the best meals I ever enjoyed. The inviting breeze on our faces and the incessant gossip of the country birds; what five star hotel could beat this ambience? For dessert we enjoyed a sampling of freshly picked sugarcane the farmer had brought us. I know our parents thanked the farmer heartily for his hospitality and insisted he accept money as a small gift, but he refused outright. Children are so impressionable. It’s been decades since that day and yet it is still fresh in my memory. As far as I am concerned this farmer who took off his shawl and placed it on the ground for us to sit, was the richest man I have ever had the fortune of meeting. Wealth is not measured by a bank balance or the number of houses and cars one owns, it is simply a state of being. To be truly wealthy means to be so sufficient that you are happy to share your riches without the worry of losing them. And who could be wealthier than this old farmer who would share the shawl off his back with absolute strangers? As you will agree, even though the world is full of rich people there are few who are truly wealthy. Such people live on a different plane from the rest of us. Each experience etching an indelible wrinkle of serenity in their hearts, deepening their belief that, “it will all work out ok in the end”. So that when it’s time to go to bed, it’s simply ‘lights out’. Yes, indeed. Nothing in life can bother us with that attitude. I had a similar experience in a village I went to long ago, peace and quiet there is unparalleled. Not to mention the people there are way friendly (wealthier). Great post. I never knew you were Indian. Very nicely expressed…You picked it up right….That’s the sign of richness.. Thank you so much. Cheers. Hey There. I discovered your blog the usage of msn. This is a really well written article.